[3 mins. 50 secs.] The filmmakers of the documentary "Radio Unnameable" co-directors Jessica Wolfson and Paul Lovelace, are the guests. Also on this episode, a phone call with the film's subject, Bob Fass. The documentary is currently available on demand and on iTunes and is coming out on DVD/blu-ray on September 10th thanks to the combined efforts of FilmBuff and Kino Lorber. [27 mins. 15 secs.] 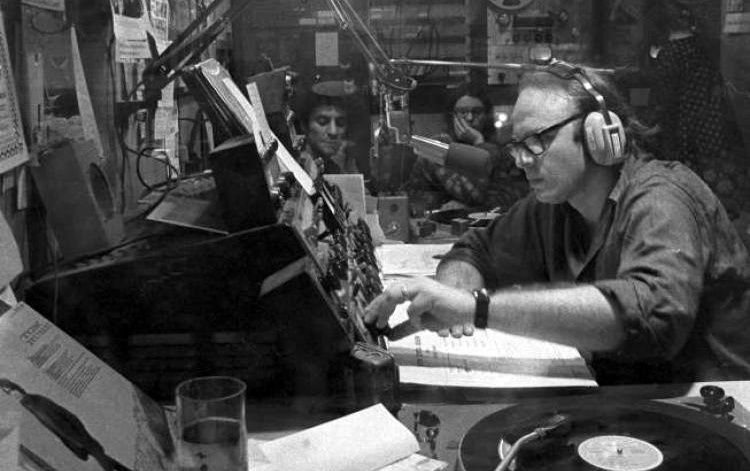 Legendary New York City disc jockey Bob Fass revolutionized free expression on the airwaves with his long running FM program on WBAI ‘Radio Unnameable’, which has served as a cultural hub for music, politics and audience engagement for nearly 50 years.